Barber Hauler System | Canadian SeaSpray Assn. This allows the jib to sheeted in closer simply by adjusting the length of the rope fairlead. 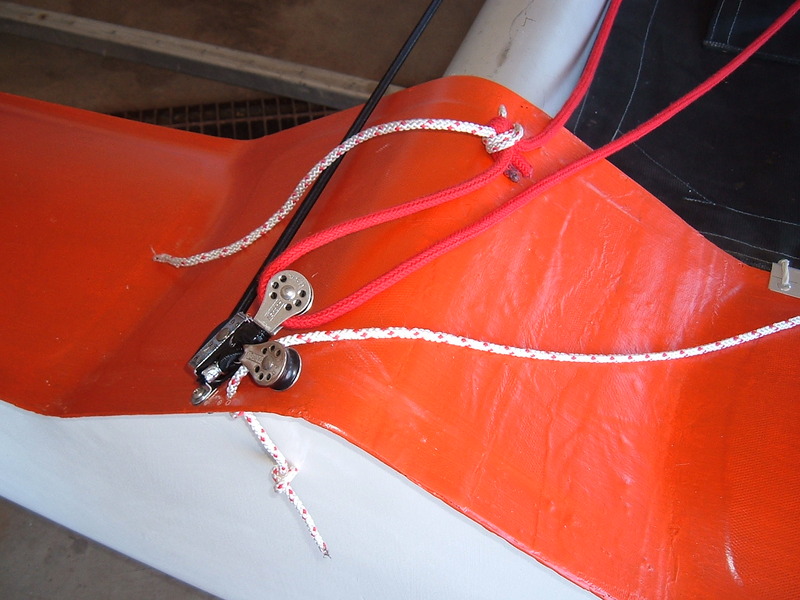 One end of the rope fairlead goes through the outside lip of the hull/deck joint and the other end goes through the aluminum awning extrusion holding the trampoline to the inside of the hull. You can adjust the length of rope(which will control the opening between the jib and main) between races depending on the wind speed. This system also incorporates a shock cord which pulls the jib fairlead outward when the jib sheet is eased which helps when going downwind. Barber hauler system to allow outhauling jib on downwind legs.